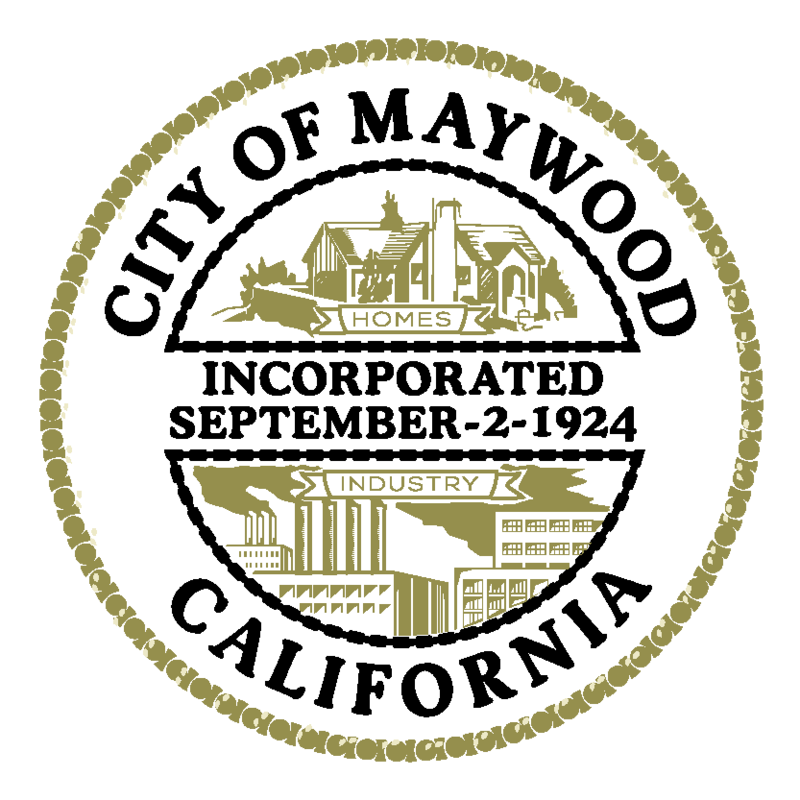 On Friday, June 29, 2018, the City of Maywood awarded those who have done great efforts in recycling and making the City of Maywood environmentally friendly. 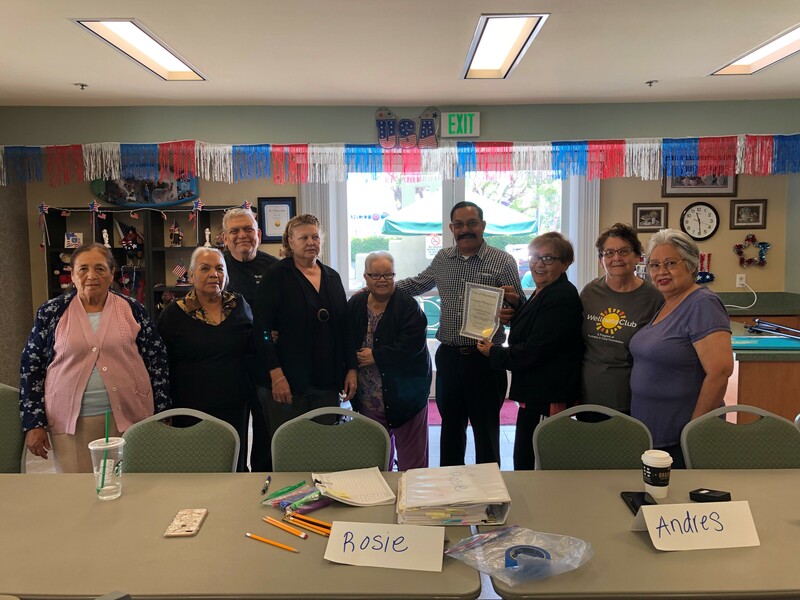 Mayor Ramon Medina went to each site and presented a certificate of recognition. The businesses that have been awarded are Maywood Villa Senior Apartments, and Maywood Manor Co-op Apartments. 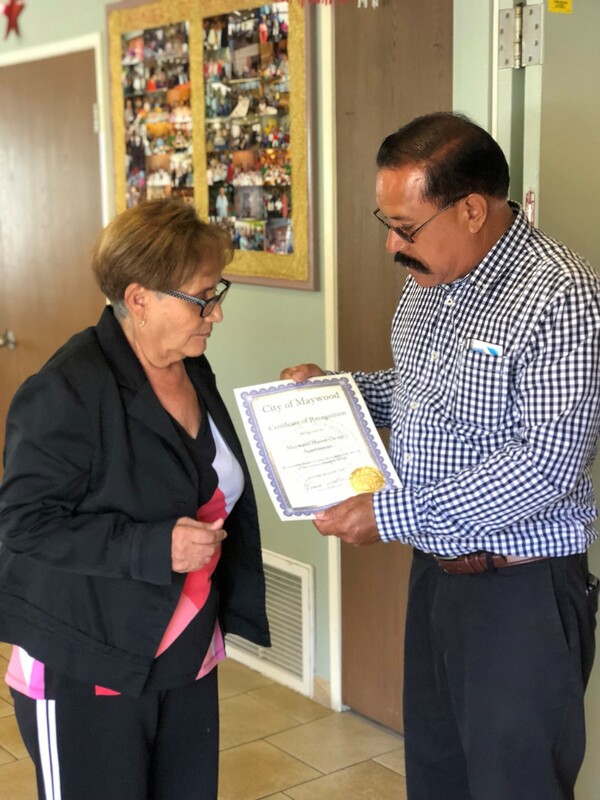 We would also like to give a special recognition to the President of Maywood Manor Co-op Apartments, Consuelo Martinez, for having the best recycling in the whole city!